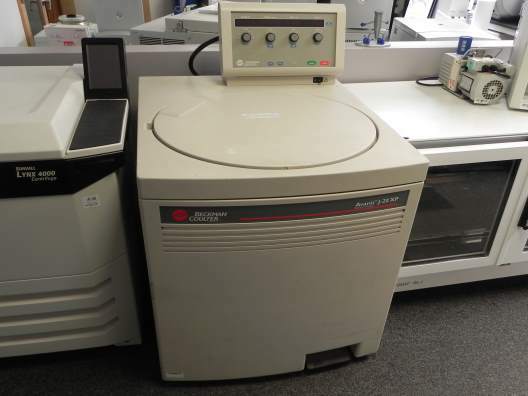 The Beckman J2-MC system is a high-speed, high-capacity floor model ultracentrifuge. Equipped with microprocessor controls and an advance induction drive, the J2-MC offers precise speed control and ultimate reproducibility. 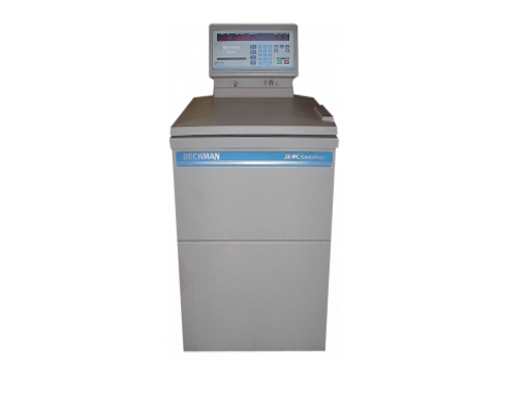 The digital control system of the Beckman J2-MC ultracentrifuge puts the full power of the microprocessor control system right in the hands of the operator. The wide range of acceleration and deceleration profiles maximizes your throughput and improves the results of the procedures by minimizing poor separations. 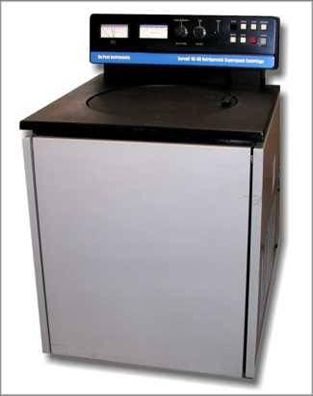 The Sorvall RC-5B centrifuge is a high-speed, refrigerated floor model. Built to deliver streamlined operation and superior performance, the reliable RC-5B system can be employed for tough laboratory and clinical applications. 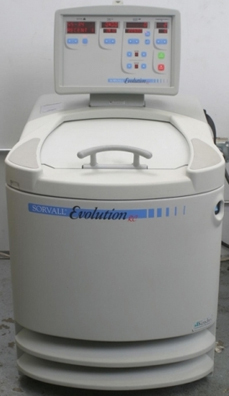 Equipped with a universal/drive motor, the Sorvall centrifuge offers quiet operation. With automatic programmed acceleration and braking features, the motor armature of the drive system is balanced to give minimum vibration over a full range of speeds. This feature extends the life of the bearings and brushes, and reduces maintenance. Capable of operating at speeds of 21,000 rpm, the Sorvall RC-5B system is dependable and fast, even during intensive processes. The user-friendly controls also make set-up simple for inexperienced users, speeding up parameter setting and reducing errors. The user can set the speed, time, and temperature in any order, and change them at any time during a run. 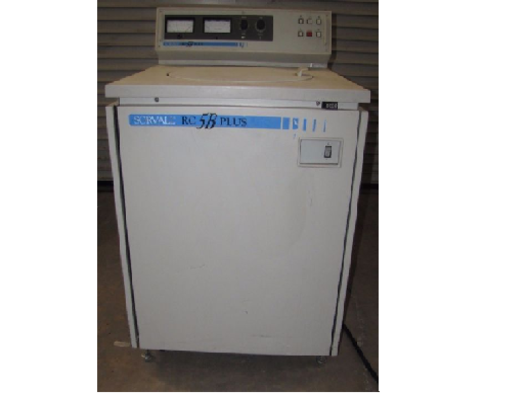 Other features of the Sorvall RC-5B centrifuge include a rotor, angular velocity and time/min knob, automatic programmed acceleration, a simple on/off switch, and a wide rotor range – from fixed angle, swinging bucket, vertical, microtube, zonal to continuous flow types. 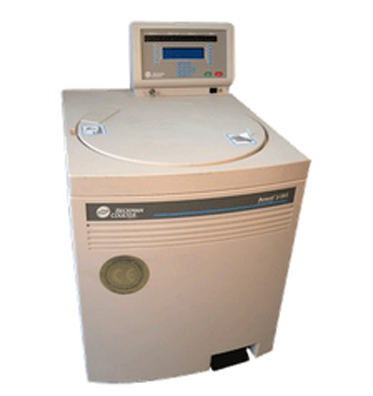 The Sorvall RC-5B Plus Superspeed is a high-speed centrifuge designed with simplicity of operation and durability for intensive use. With its user-friendly controls, set-up is made simple even for inexperienced users, speeding up parameter setting and minimizing errors. The RC-5B also comes with unparalleled flexibility as it carries the industry's widest range of rotors – from fixed angle to continuous flow types. The RC-5B Plus provides reliable, dependable operation. Its durable, high capacity refrigeration system maintains precise operating temperatures without the need for a vacuum. Additionally, the RC-5B Plus direct drive motors, with no belts or gears, reduce maintenance and system noise. The patented gyro system also protects the drive from damage should rotor imbalance occur. 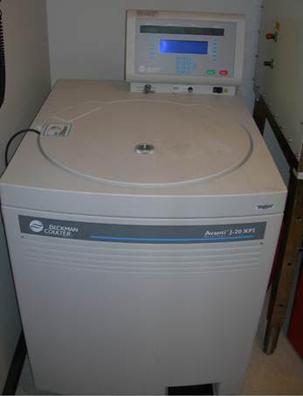 The Sorvall RC-5C Plus Superspeed Centrifuge is designed to separate substances of varying densities at a controlled temperature range. 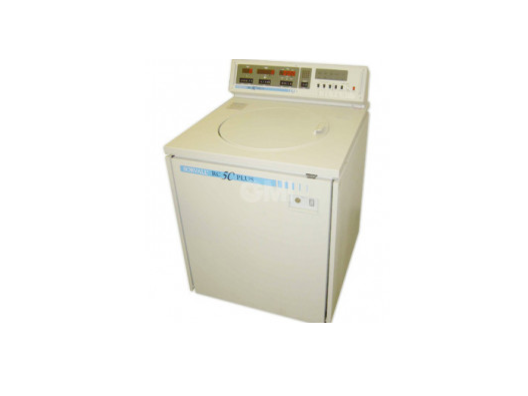 Using state-of-the-art centrifugation technology, the RC-5C Plus offers superior functionality, durability, and simplicity of operation. Its strategic combination of outstanding features guarantees high quality intensive separations in the minimum amount of time possible. Equipped with a Relative Centrifugal Force (RCF) calculator, the RC-5C Plus allows the user to calculate the RCF before a run, and display it anytime during the run period.